Item description: * See scan - perfect condition. 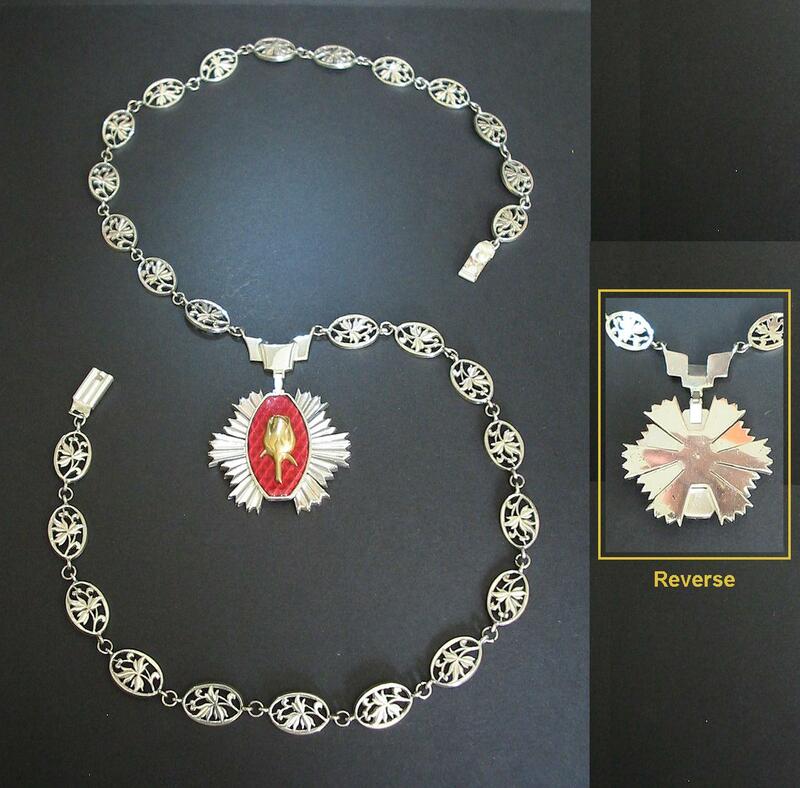 This is a nice and extremely rare Bulgarian Communist era Order of the Rose - Small Collar in sterling silver. This highest Bulgarian decoration was to be awarded only to foreigner ladies that are either Heads of State or Royalty. The order was still active up until late 90ies. The Collar of the Rose order had been awarded only twice in its history - once to the late Indian Prime Minister Indira Ghandi and later during the 90ies to H.R.H. the Queen of Denmark Margarethe. 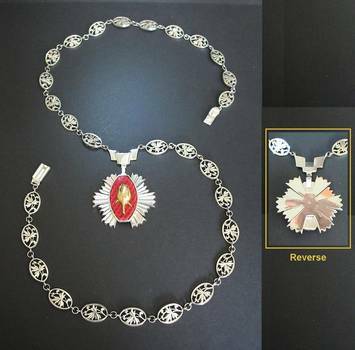 The collar consist of 28 pieces chain and each part of the chain is a filigree rose, as well as the order itself which has a silver rose center over red enamel - very much like the Rosicrucian symbols. Only a couple of the collars are known to exist in private collections. Scarce collector piece and one of the rarest modern era Bulgarian orders.